Black wingtip dress shoes by Adam Derrick To Boot New York. Light blue cable cord dress socks by Banana Republic. Black flat front trousers by Banana Republic. White black window pane spread collar dress shirt by Club Monaco. Black polka dot bow tie is a Belk’s store brand. Glen plaid sports coat with peak lapels and side vents is made by Express was a thrifting find. 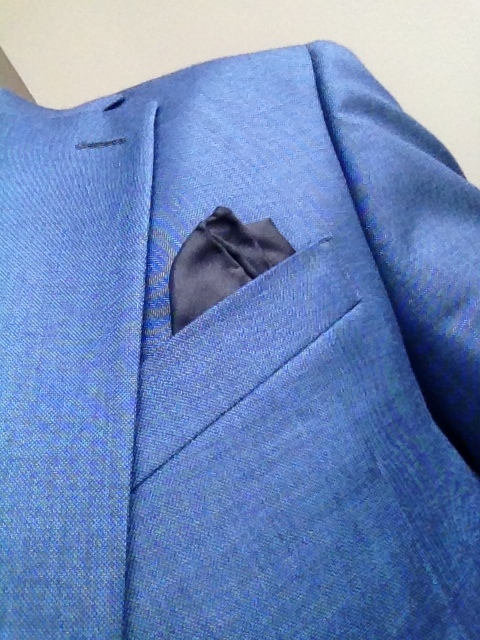 Light blue silk pocket square, origin unknown. 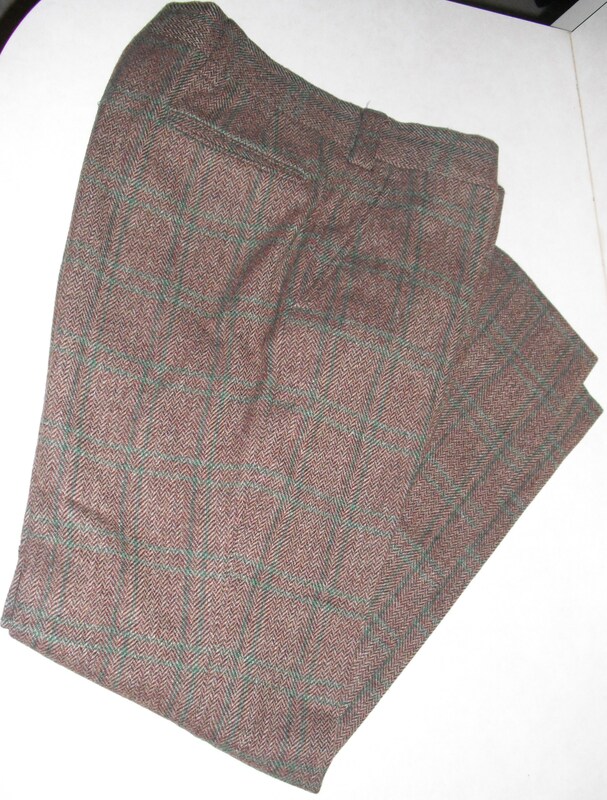 These are my latest pair of plaid tweed herringbone trousers that I found at a local vintage clothing shop here in Charlotte, Hong Kong Vintage Clothing. I absolutely love these pants and the fit is amazing. The price was even better at $22. The trousers are true vintage and the restoration effort on the slacks is noticeable. I can actually see where they stitched up the holes that once existed around the hip and thigh area. 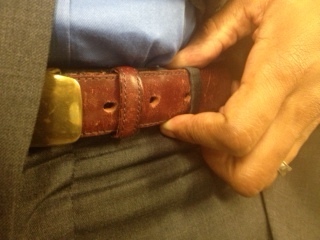 The pants did have a hole or busted seam down the side, which was left untreated. I actually had to break out the needle and thread and repair the hole, myself. Actually, my wife fixed it…but I could have did the repairs myself, if I wanted to. And I was kind of massaging her feet while she worked. So, technically I did help with the repair effort. 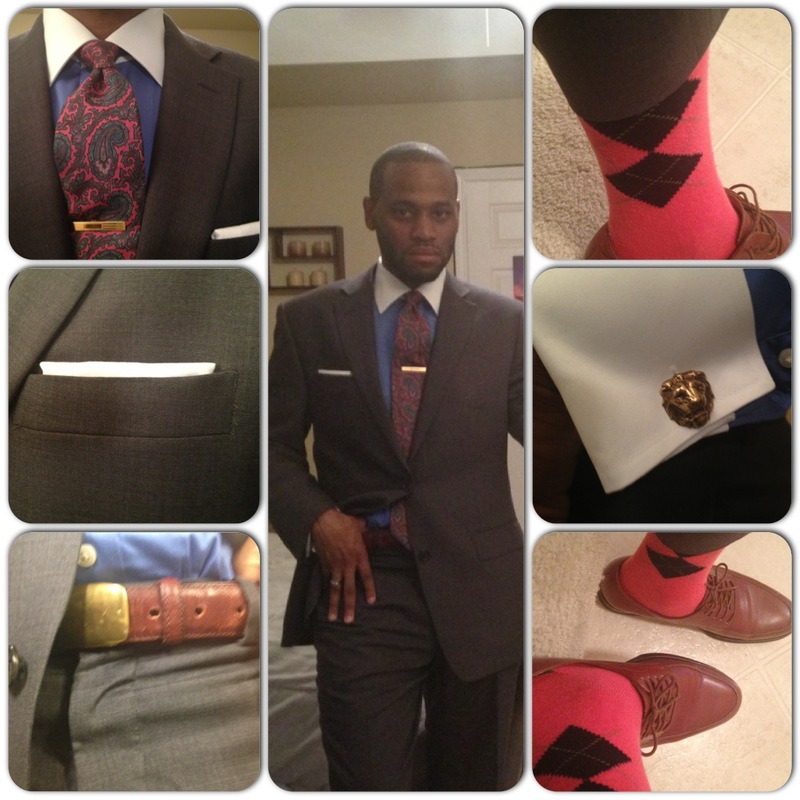 On a daily basis, I have seen some of the most well-dressed men teeter off when it comes to their socks. Their entire ensemble flows well…until you get a glimpse of their socks. It almost seems like they simply gave up on that aspect. It reminds me of when a football coach tells a receiver to finish his route completely, and do not break a route off…I want to tell these gentlemen the same thing. Finish the look…do not break it off! Instead of being well-dressed from head to toe, they are well-dressed from about head to calf. Their whole sock game/shoe game is non-existent. It’s usually the same issue that I observe from these guys. 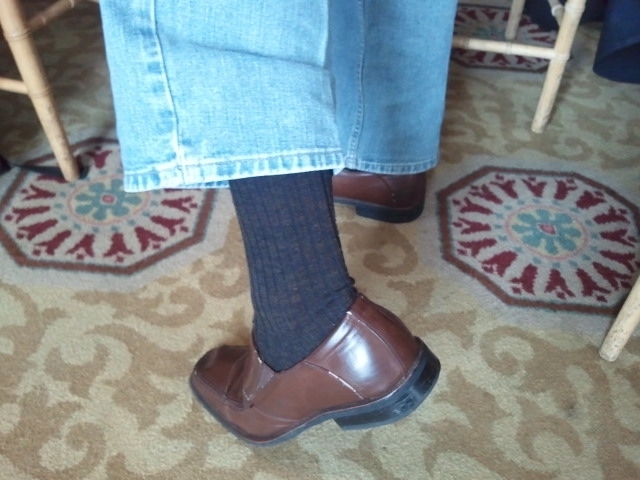 The black, thin, dress socks with tan or light brown drivers. I’ve even seen the thin black dress socks with light color (white, taupe, or grey) boat shoes, as well. That’s just lazy…no effort at all, gentlemen. You do not have to be “Mr. Lord Of The Socks”, but please do something! Put some sort of effort into it. You can still preserve your conservative style and take your socks more seriously. Instead of the hundreds of patterns that are available in socks, you can just stick to the solid colors. But, please look into the different shades of colors: different shades of blues, shades of browns, 50 shades of grey, whatever! Black socks for work and church and white sweat socks for the gym, should not be the full extent of your “sock collection”. Oh, those aren’t the only two colors you have? You also have navy socks, you say? You are a grown-arse man…grow up, bruh! Let’s finish the maturation process, shall we?!?! During style consultations, I always tell dudes to start out by trying to match their socks to their tie or pocket square in the manner that 18 years olds match their sneakers with their hats. Now this is not a rule (remember: I don’t make rules, I break them), but this is just a mental guide to get you started. Once you start to get more and more comfortable, you can spread your wings and start to develop your own system. 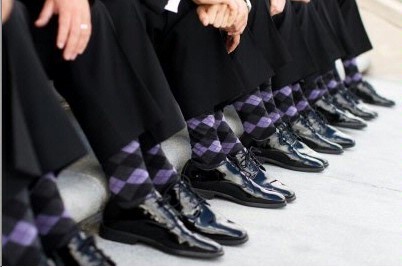 Some classic patterns to keep in mind when buying socks: Argyle, stripes, polka dots, ribbed, cable chords, paisley, etc. 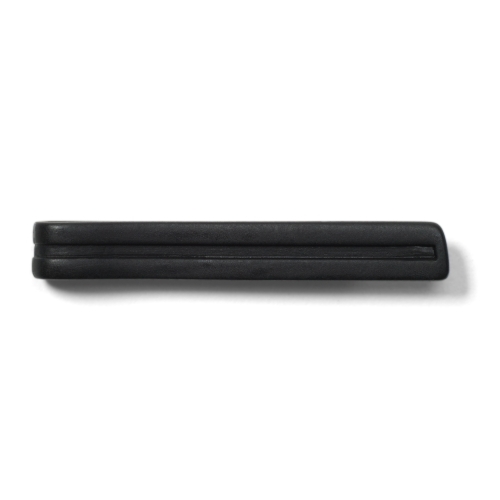 Vintage Embossed tie clip from Club Monaco. Very nice and very sleek. I like this piece a lot! 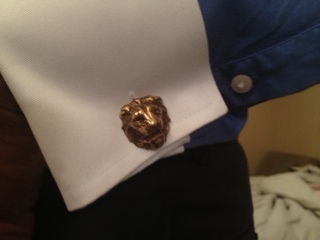 $34.50 isn’t a lot of money, but it’s more than I would prefer to pay for a tie clip. 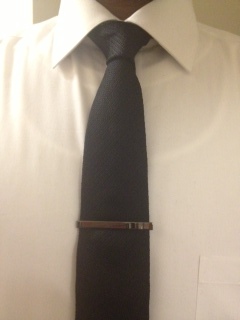 On the flip side, tie clips can last forever. Today’s look is another black and blue classic! 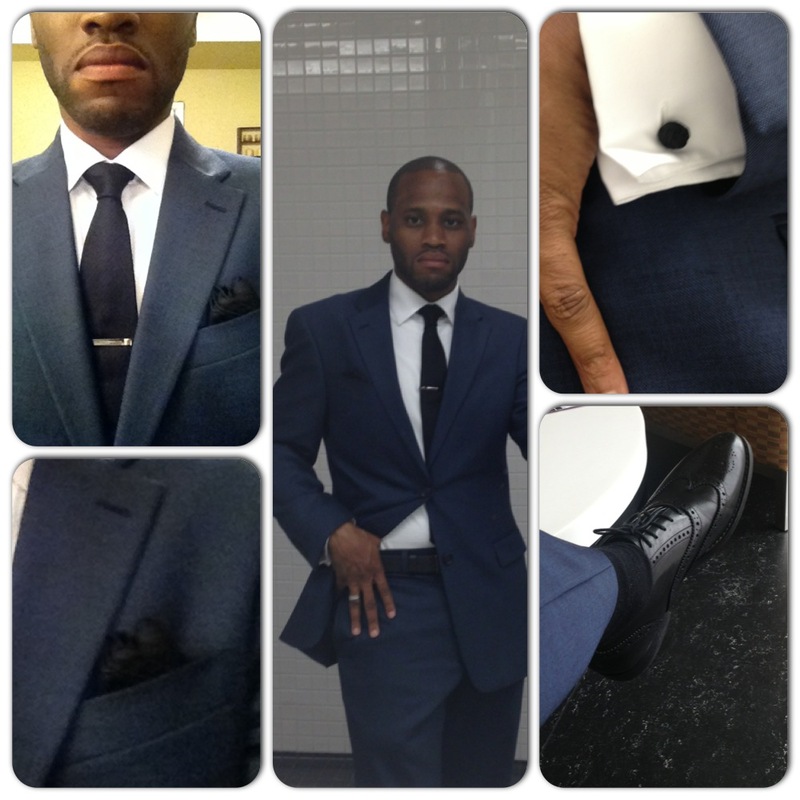 The suit is a notch lapel, double vented, electric blue suit courtesy of Tommy Hilfiger. 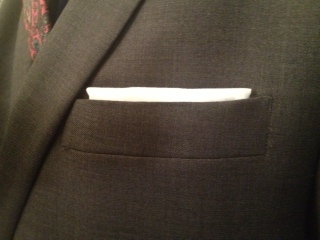 I went with a black silk pocket square. I folded it into a perfect square and just fanned out the edges. The dress shirt is a classic white, spread collar, french cuff, Macy’s store brand dress shirt that I found for $1.50 while thrifting. The tie is a narrow, knitted Banana Republic black tie. 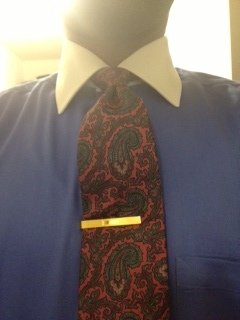 And the tie clip is a favorite of mine, courtesy of Kenneth Cole. 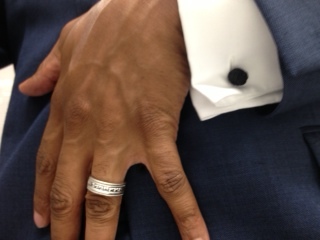 Black knot cufflinks from Ralph Lauren. 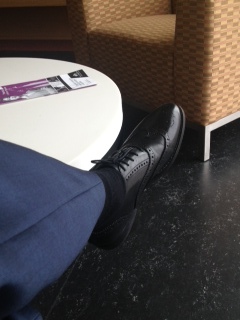 I went with class black socks from Ralph Lauren and the black wingtips are To Boot New York by Adam Derrick. You can substitute the black belt and black shoes for brown (tan) belt and shoes and it would also work with the black tie, black square, and black links. I may try that next time I give this suit a twirl. 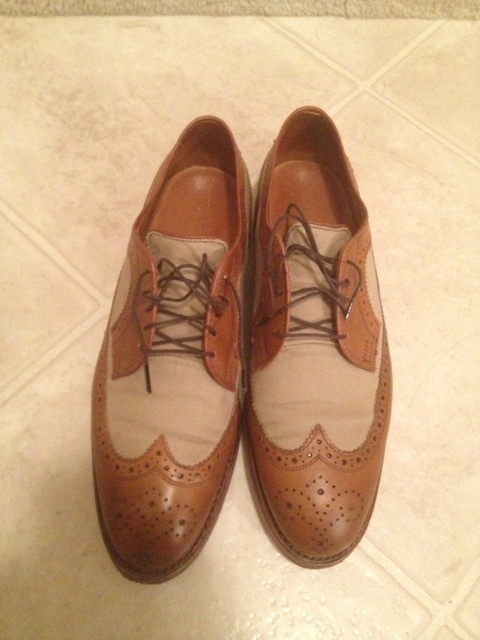 Let’s break down today’s look, starting with the spectator style wingtips from Ralph Lauren. 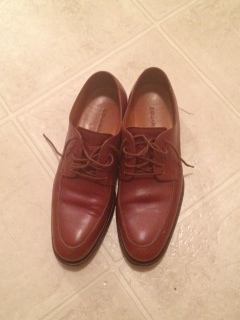 These shoes consist of a canvas / leather combo, as you can probably tell. I couldn’t tell when I ordered them online. I was a pleasant surprise, nevertheless. Very comfortable shoe. 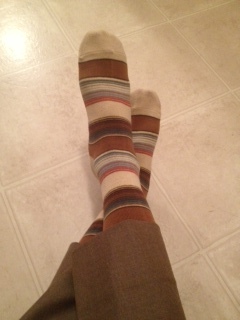 And there are the striped Ralph Lauren socks. 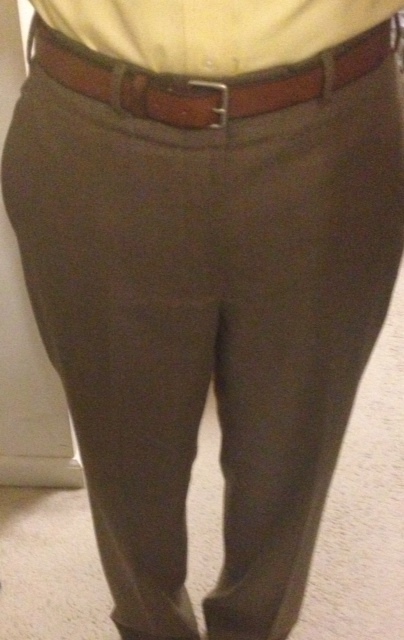 Flat front trousers from Brooks Brothers. All of the pants I wear are flat front. 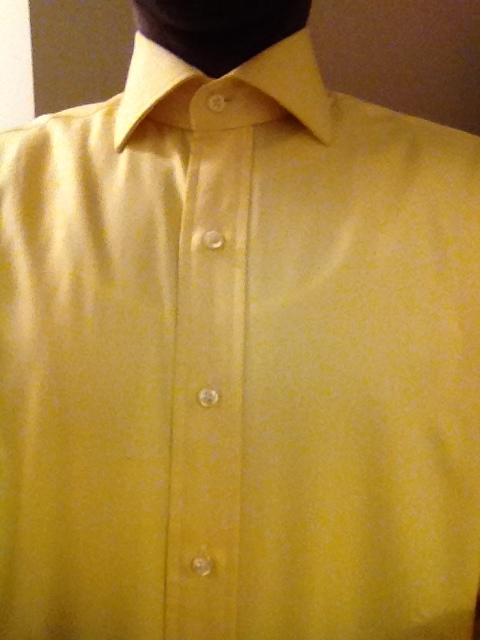 The canary yellow spread collar dress shirt is from Ralph Lauren, as well. 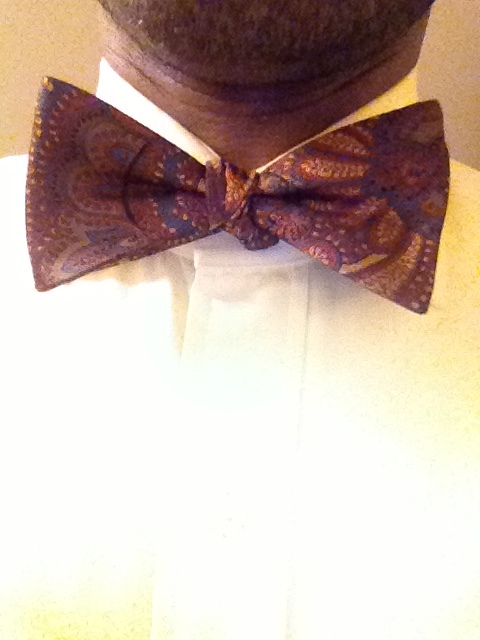 Belk’s store brand bow tie. 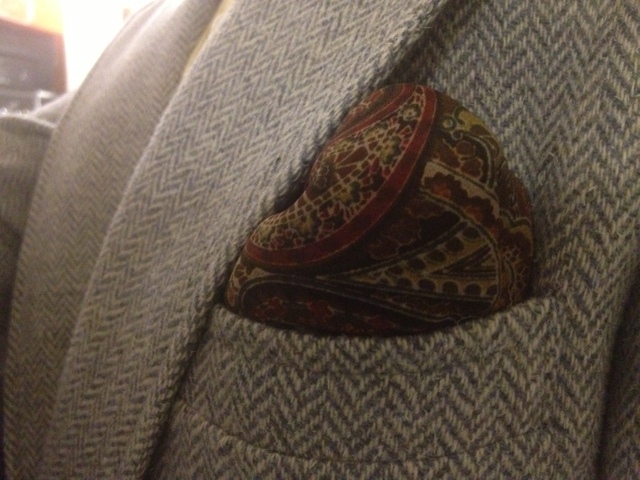 Pocket square? Well, it is today! This piece is actually one of my wife’s head scarfs (I cannot reiterate it or stress it enough, I just have a lack of concern for rules). 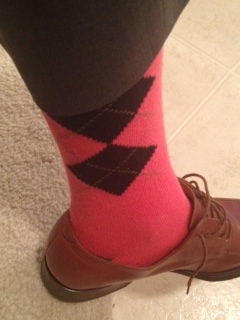 I thought that it was the perfect compliment to my bow tie…and my socks. Thanks to the wife for the alley-oop! 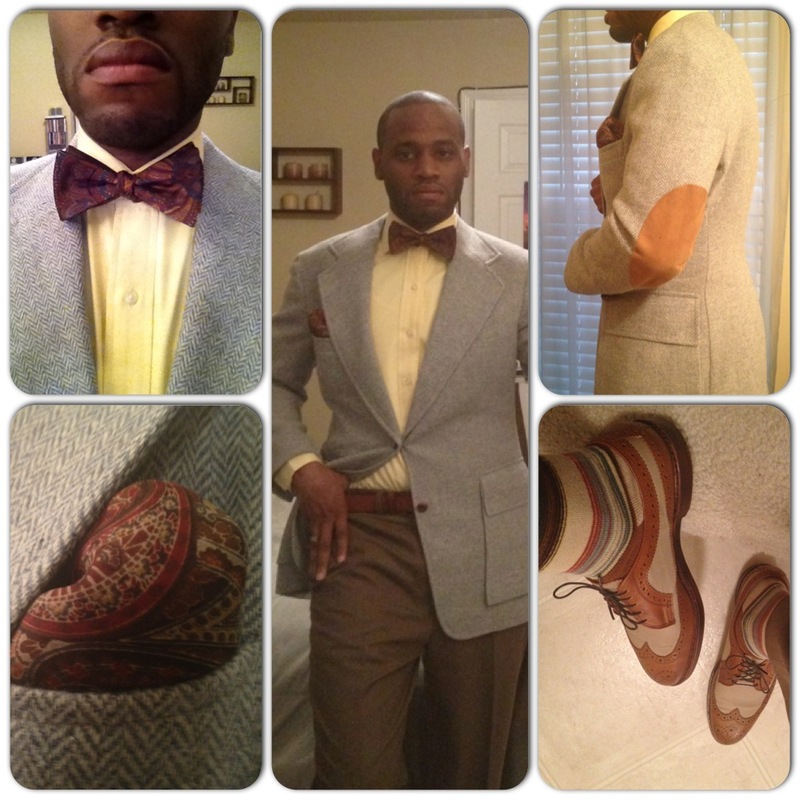 I found this herringbone tweed blazer with suede elbow patches at a vintage clothing store in Atlanta. 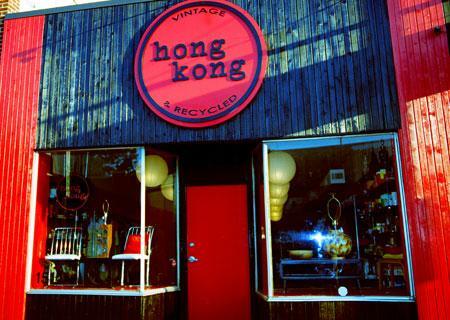 I cannot remember the name of the store, but it’s located in Five Points directly accross the street from Moodz Music. 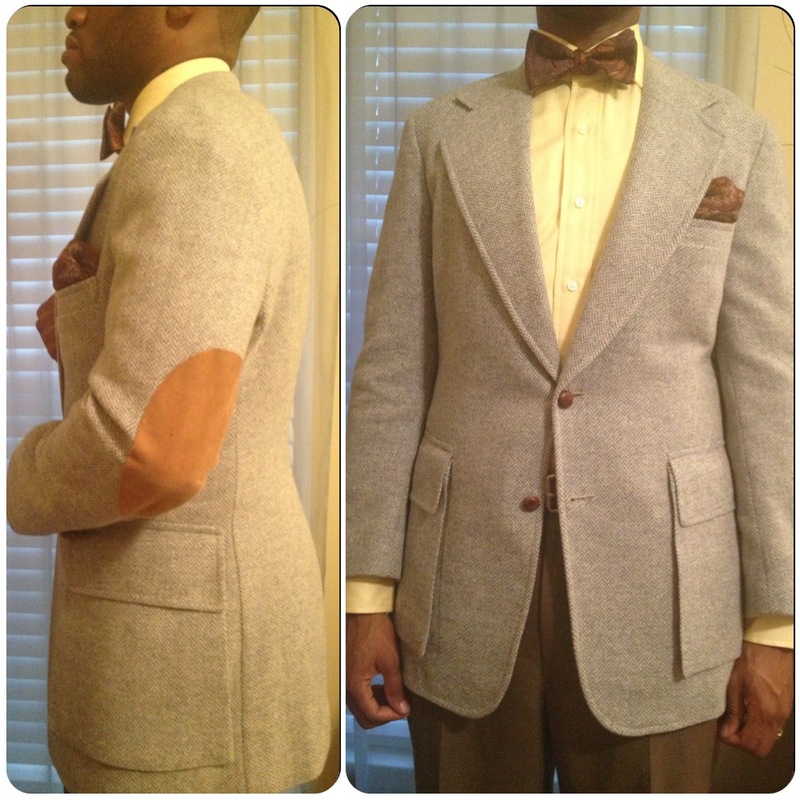 Notice the thicker lapel on this jacket…true vintage! The story that I came up with in my head is that this coat used to belong to Al Green and he has performed and conducted interviews in this jacket. Honestly, I don’t need anyone to verify the validity of that story…because it’s a fact, in my mind. And that’s all I need.